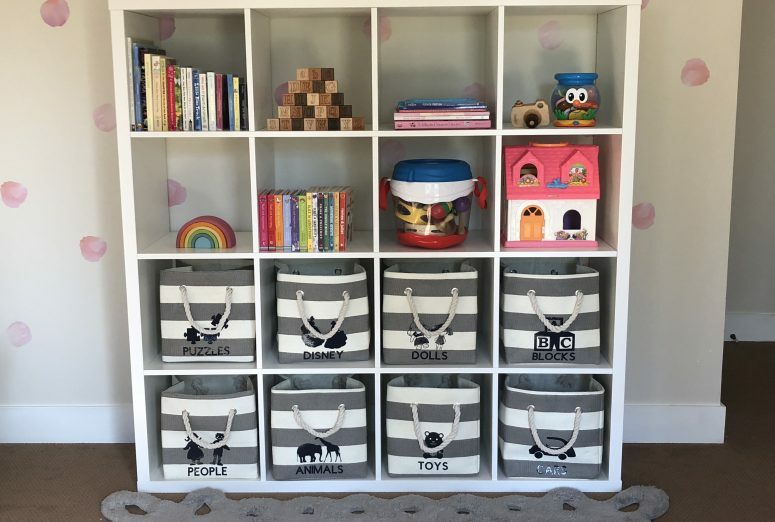 I’ve been wanting to capture Vienna’s nursery space in a blog post forever. 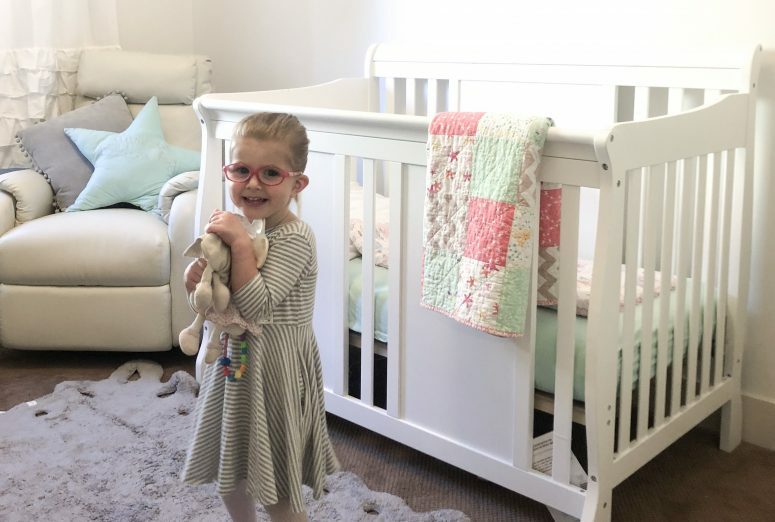 There’s no time like the present- she’s outgrown her daybed (crib conversion) and her new bed is on order, so if I wanted it done it had to be now. I’m still learning how to get decent photos and these ones = no bueno. I ended up using my iphone for fear of driving myself crazy with my Canon. Our bedrooms also don’t have great natural light. Pair that with an awkward space to move around and I was getting no where fast- no wonder I put it off! I considered editing all the photos, but #aintnomamagottimeforthat. Now that I look at them on a desktop– eep. Maybe I’ll have someone help me redo this! 😉 (The walls in her room are white and the one behind her bed is a light grey). So, bear with me on the photos. Vienna’s room is the perfect space for a sweet girl like her. 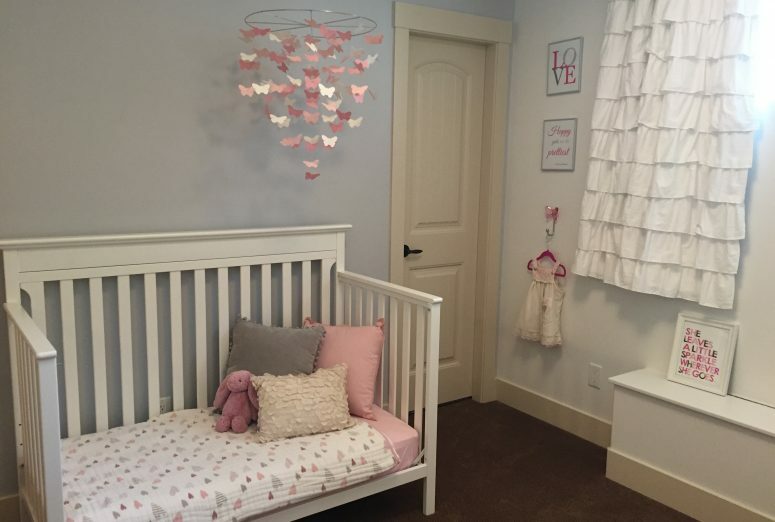 When I was pregnant with V we didn’t find out the baby’s gender, so I decorated the room in white and grey and added in pink once she arrived. There’s still a little bit of grey left, but pink really took over that space, as it should! 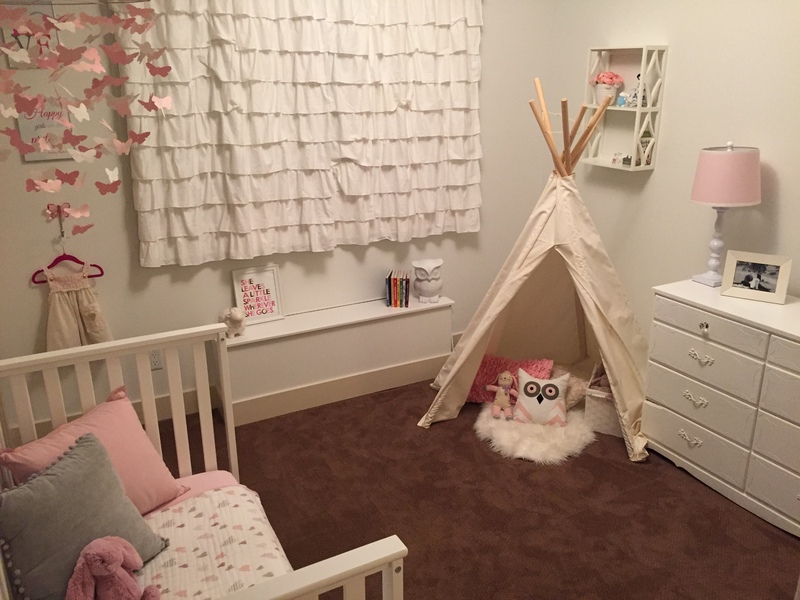 Some of my favorite features are her butterfly mobile- it gives the space such a whimsical feel; the blackout ruffle curtains- they make it feel so girly; and of course the teepee- ahhhhdorable! Her room has a small built in bench under the window. 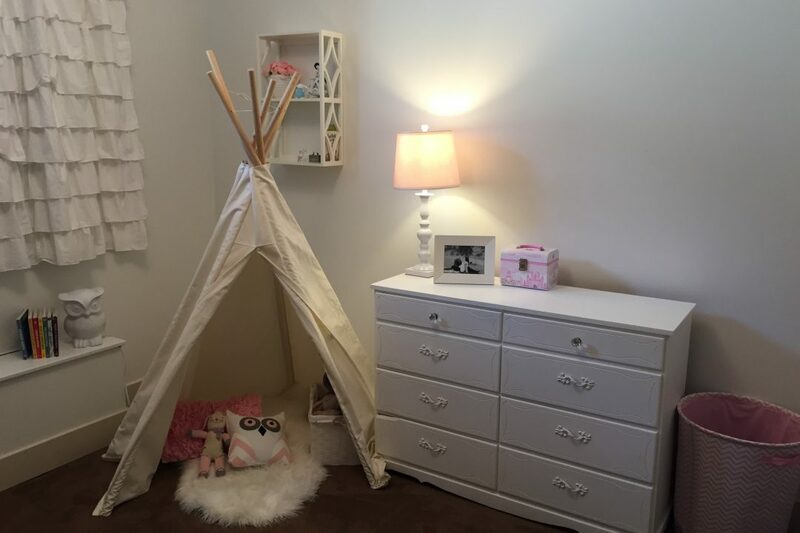 It’s annoying in that it forces/limits the layout of the room, but we’ve been using it to rotate her books which she loves reading at bedtime in her teepee. The current stack is the BabyLit books- so cute! The picture framed on her dresser is from our maternity photo shoot with V- I love seeing this reminder of that time. I’m in love with the two tier shelf behind her teepee. I use this to put a few special items that have been passed on to her. 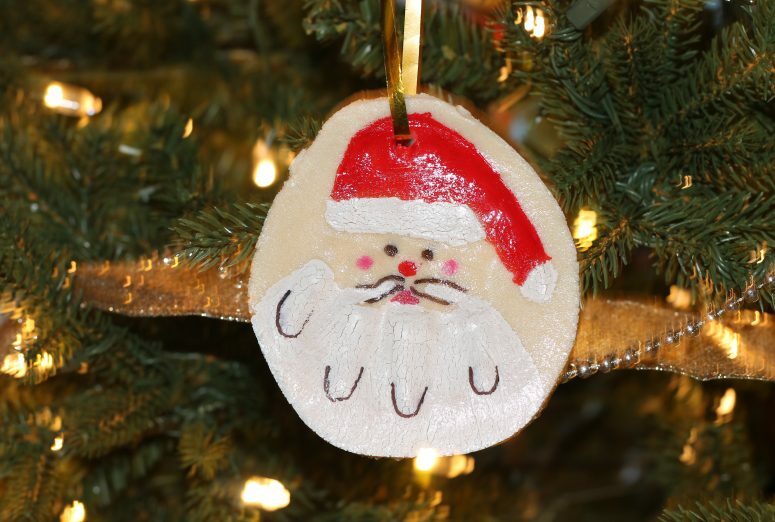 Recent life happenings have reminded me that our generation seems particularly un-sentimental– so this is a nice place to save/feature a few keepsakes. 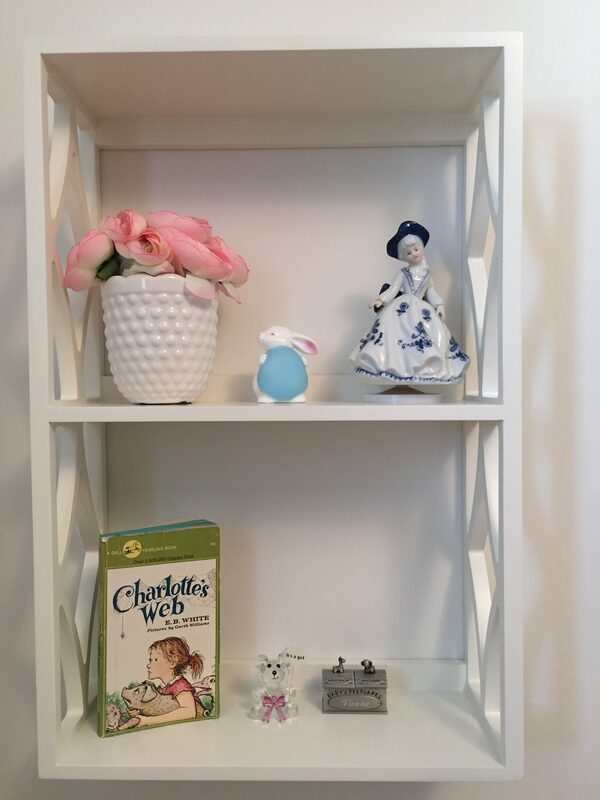 And the Charlotte’s Web book on the shelf came from one of my cousin’s as a gift for V’s baby shower– it was my cousin’s when she was little– how sweet is that! I can’t wait to read it to V when she’s a bit older, she already asks about it all the time. 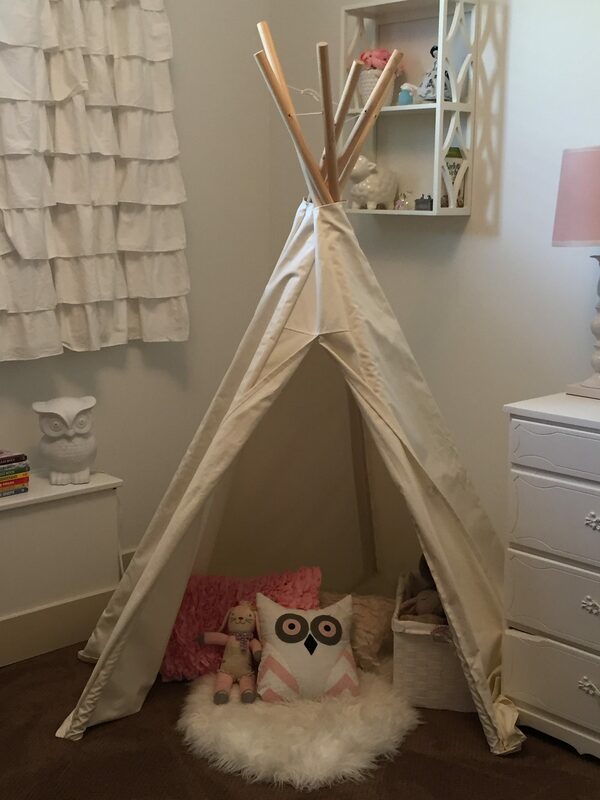 That teepee – love!! And love that you’re doing this blog! I can creep on your goings on, hee hee!